Experiment into Mapping – Week 5 – Vivacity. Ashley King – Group E.
So as I have shown in my previous post, I drew up a map of a section of Europe, representing the countries and major cities of this region. I will then be adding a printed and cut out image of the fictional country Idris from The Mortal Instruments. I thought doing this, instead of simply drawing it on, would make it stand out as it is something I want to draw attention to. 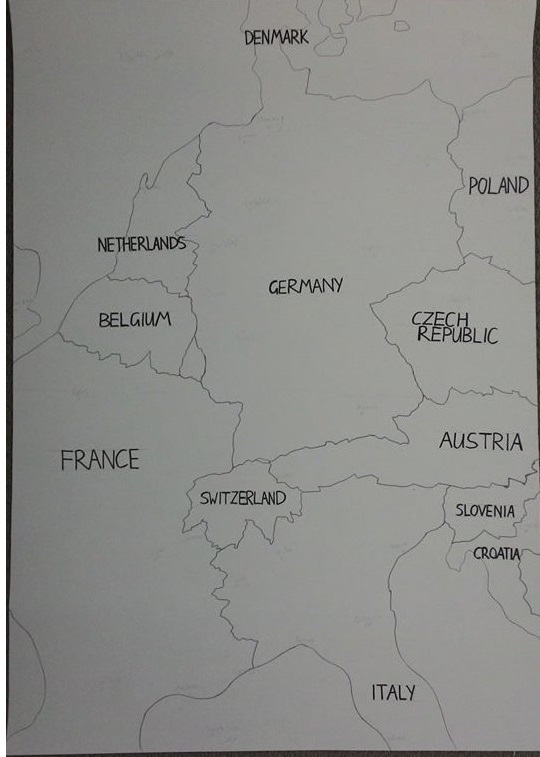 Taking inspiration from this image, I decided to then draw a landscape over the top of my map to represent Europe and its elements. However I still wanted to represent Idris over the top of this. Throughout the novels in The Mortal Instruments, Idris most prominent feature is it’s capital city Alicante, nicknamed “The City of Glass”. Surrounding the city are “demon towers” that help support the wards protecting the city from demons. The city is associated with the name “City of Glass”, as the towers are constructed from the heavenly metal Adamas. The glow produced by this heavenly metal gives the towers a glass like appearance. The warrior Shadowhunters also live amongst this city in small stone houses. So, in the top half of my map I have drawn rolling hills of green which then stops at water. I have then decided to draw the city of Alicante in the bottom half. 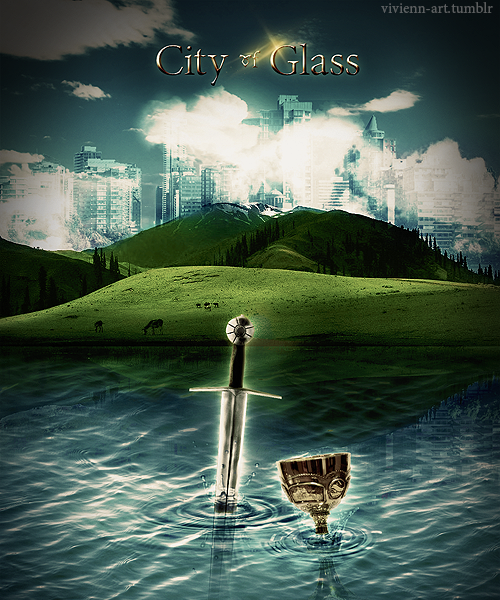 I’ve based my drawing off the cover of the 3rd book in the series, City of Glass, which has an illustration of Alicante. But I have drawn it intending for it to look as though it is a reflection in the water. I wanted to draw it this way to keep that mysterious/magical aura of the city and emphasise the fact it is hidden out of sight. The appearance of the glass demon towers also blends quite well with the blue of the water to give it that effect of a reflection.